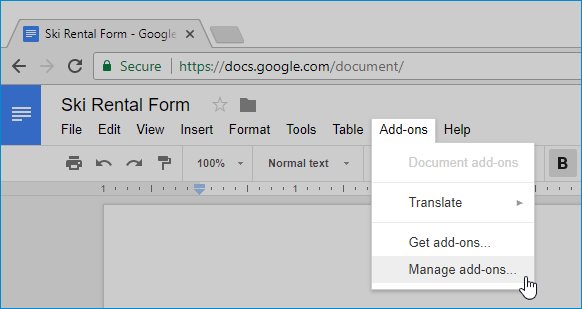 To send fax from Google Docs, first open your document in the Google Docs. 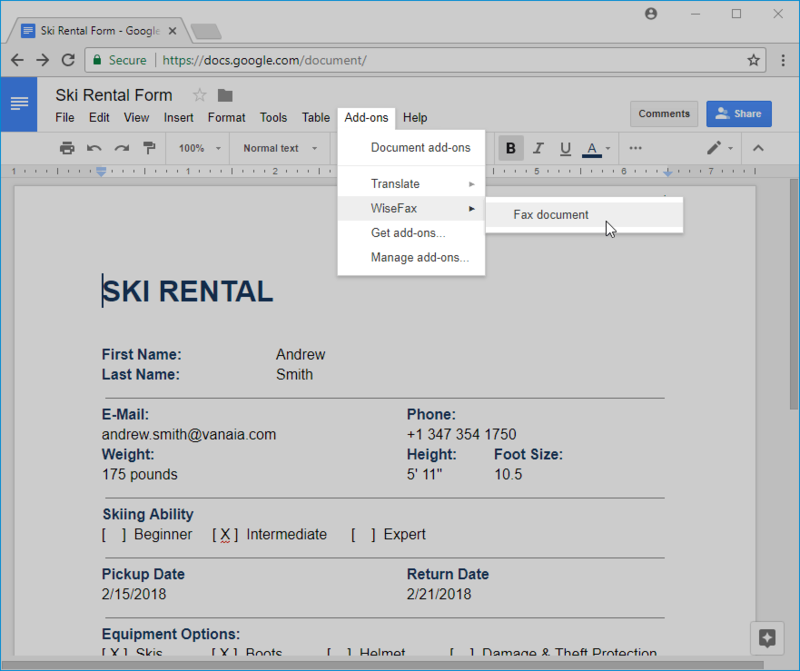 Once you are ready to fax your document, select the Add-Ons > Get add-ons… menu. 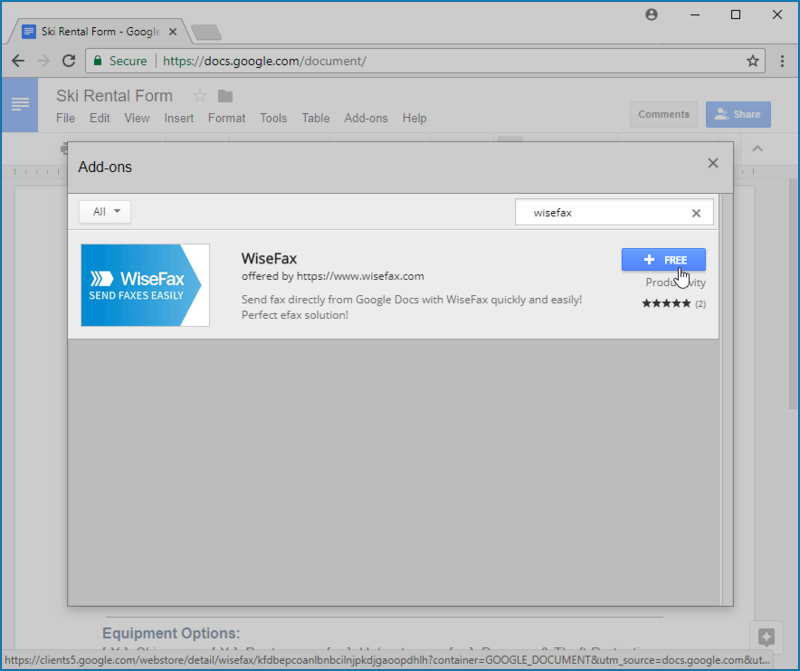 An Add-ons window will popup. 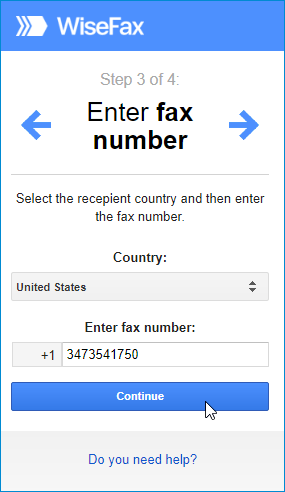 Enter “WiseFax” in the search input box in the upper right corner of the Add-ons window and press the Enter key on your keyboard. 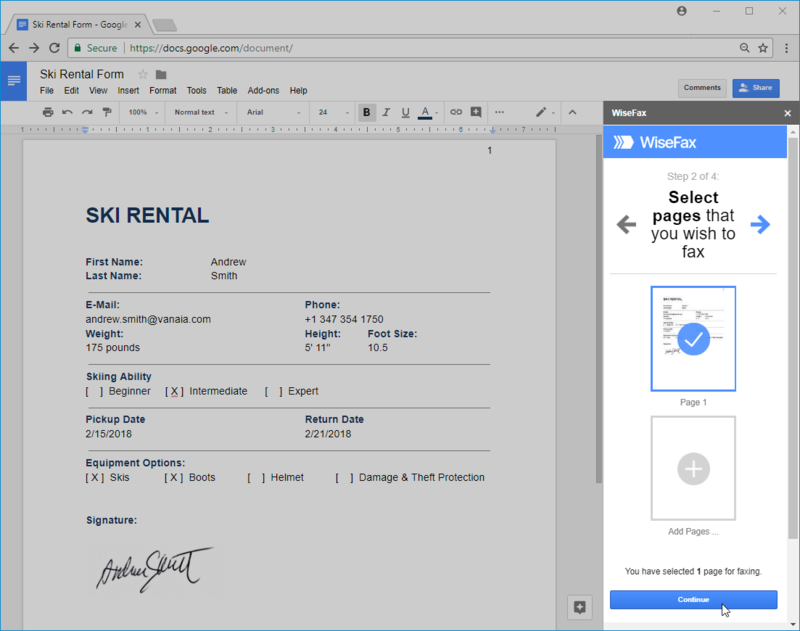 WiseFax add-on will appear on the list. 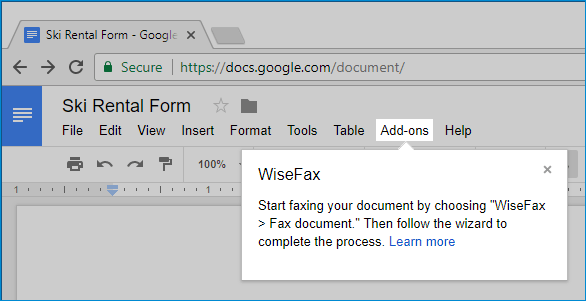 Click the + Free button that is displayed next to the WiseFax add-on, as shown in the image below, then follow instructions displayed on your screen to complete the process of adding WiseFax add-on to Google Docs.